Barrow-in-Furness is a town with an interesting past, with historic prosperity (Furness Abbey, for example, is one of the most powerful monasteries in the country during the Middle Ages) and a rich industrial history, seeing as this city grew into a major shipbuilding town in just 40 years. In Barrow, you will be able to find some of the most unique properties in the country. We have many years of experience in the real estate industry, and we have paired many customers with the house of their dreams. And we don’t intend to stop now! As estate agents in Barrow-in-Furness, we are well aware of everything that goes on in the area! The Ultimate Pop Festival is an example of the great events you can expect to attend. This festival stars many pop icons that you will, no doubt, recognise and love, such as Atomic Kitten and S Club. You can also indulge in a day of climbing at the Park Leisure Centre, enjoy the Ulverston Lantern Festival nearby, or practice your writing skills with a Free Creative Writing Session at Barrow Library. With so much to do and see in this superb town, you’re never short of some entertainment! Why is Barrow Such a Great Place to Live? The sheer variety of events and community life is part of what makes life in this city so great. You will always have some sort of entertainment lined up that you can enjoy with the whole family. Barrow’s historic past gives it a ‘vibe’ and character that is difficult to find anywhere else, present in the many buildings around town. 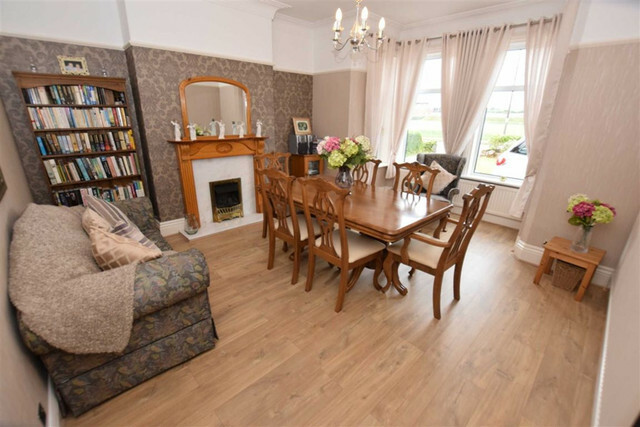 The beautiful properties peppered throughout Barrow are unique and overflowing with charm, as you can see as you browse our website. So, do you love city life? If the answer is yes, this 1-bedroom apartment is the perfect property for you! Best suited for individuals or for a professional couple, this flat is ideally located in town centre and close to everything you could possibly need, including BAE and an abundance of amenities. The décor is modern and the flat comes fully furnished with appliances. This property is available for £525 per month. 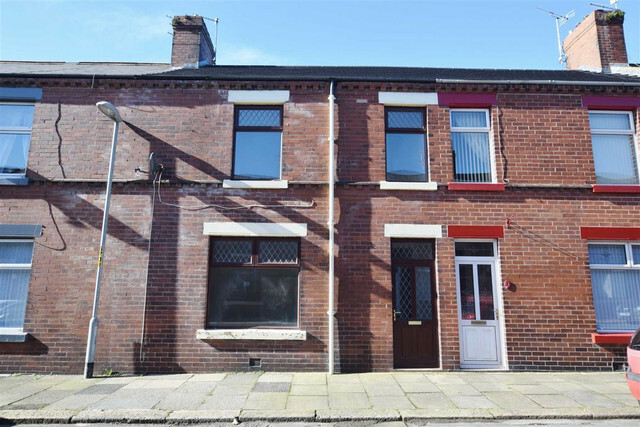 If a house is more to your liking or you’re looking to move with your family, this 3-bedroom terraced house might be the home of your dreams for just £550 a month. Close to the town centre and all amenities, the property has undergone a major refurbishment and has two spacious reception rooms and a modern bathroom. And the best thing about this property is that the first month’s rent is free! 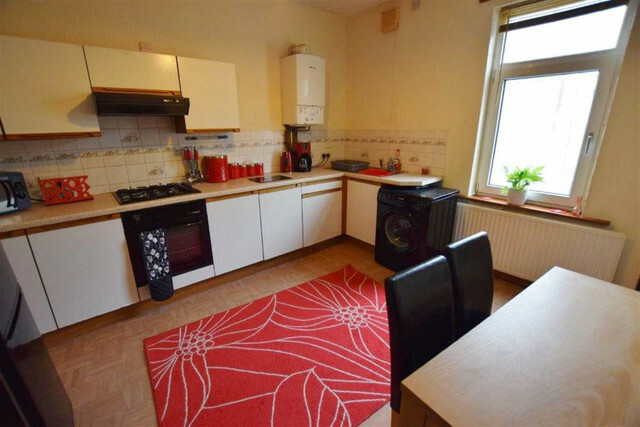 This 1-bedroom unfurnished property is a first floor flat located in a popular residential area of Barrow. 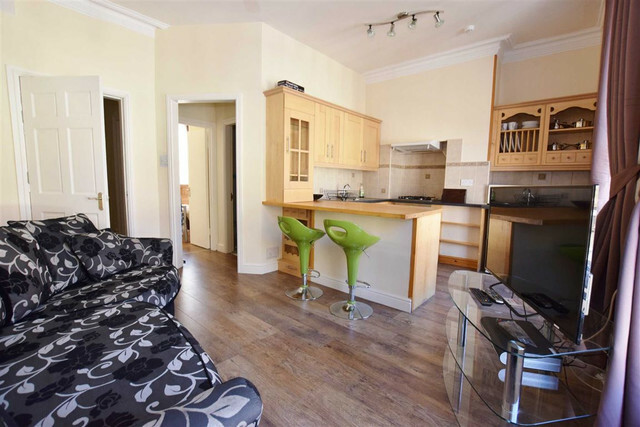 It has plenty of space and it’s close to the town centre and local amenities. You can expect a charming flat that is perfect for an individual or a couple, so why not give it a try? Viewings are available from the 21st of September. 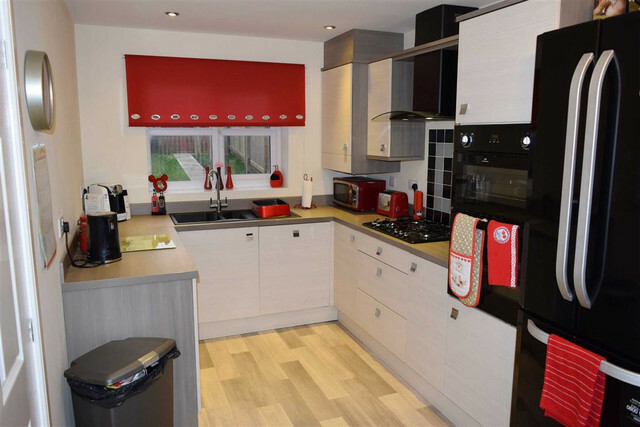 For anyone seeking a big house that can fit the whole family plus accommodate a few more family members when they visit on holiday, this semi-detached 5-bedroom house can be the one you’ve been looking for. Sitting on the prestigious Hawcoat Lane and overflowing with charm and character, this property has three different floors and benefits from a lot of space for the whole family. The fitted kitchen/diner and the many roomy spaces make it a unique property you can’t miss out on. A charming and delightful detached 4-bedroom house that benefits from two reception rooms and two bathrooms. This stunning red brick property sits on a quiet cul de sac in the popular North Scale area of Walney. Complete with front and rear gardens and fantastic views across the channel, you will feel truly at home here. 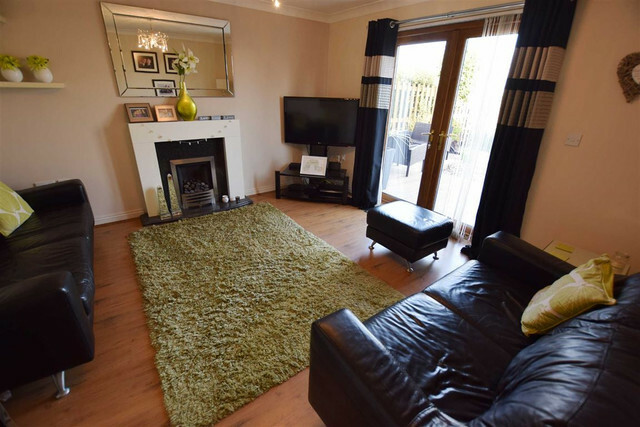 This detached 3-bedroom home is a recently built property located within St James Gardens. The enclosed rear garden and garage makes it perfect for your family, as your kids can play in the garden without worrying about passing cars. The home’s fantastic features and amenities add to the modern décor and truly elevate it to another level. We understand that, sometimes, buying or renting long-term is not people’s first priority and they would rather just opt for short-term renting. Our aim is that everyone is capable of finding the home they always dreamed of, even if for a little while, so we offer Serviced Accommodation specifically for this purpose. If you’re looking for a home away from home, look no further! 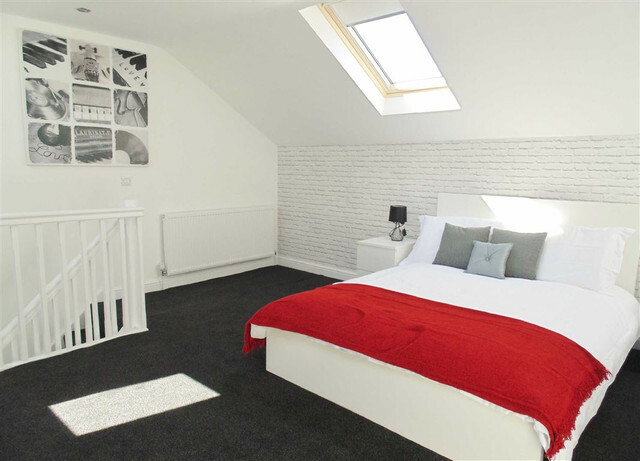 You will stay in a fantastic property for the duration of your stay with all bills included, as well as Wi-Fi, and all starting at £160 a week. Perfect for everyone, be it a contractor working at BAE or someone that needs a place to call home while working away from home. Every room has an en-suite and there is a modern shared communal space you can enjoy with other tenants. Take Room 6, Harrison House, for example. You’ll be comfortable and find it easy to relax in such a modern environment, so you don’t have to book a hotel if you’re in town for a bit – and it’ll feel like you’re home. For anyone that does not intend to purchase a home yet or even commit to a long-term let, our Serviced Accommodation is the best solution. Just contact our lettings team on 01229 870022 (or at lettings@corrieandco.co.uk) if you are interested or if you want to learn more about this service. If you would like to learn more about our properties in Barrow or what makes life so great in this city, just give us a call on 0800 8620126 or send us an online enquiry – we are always on hand to help with anything you require and our aim is to help you find the home you always dreamed of. Previous post link What’s the Best Style of Property for You?